Look out world of science! 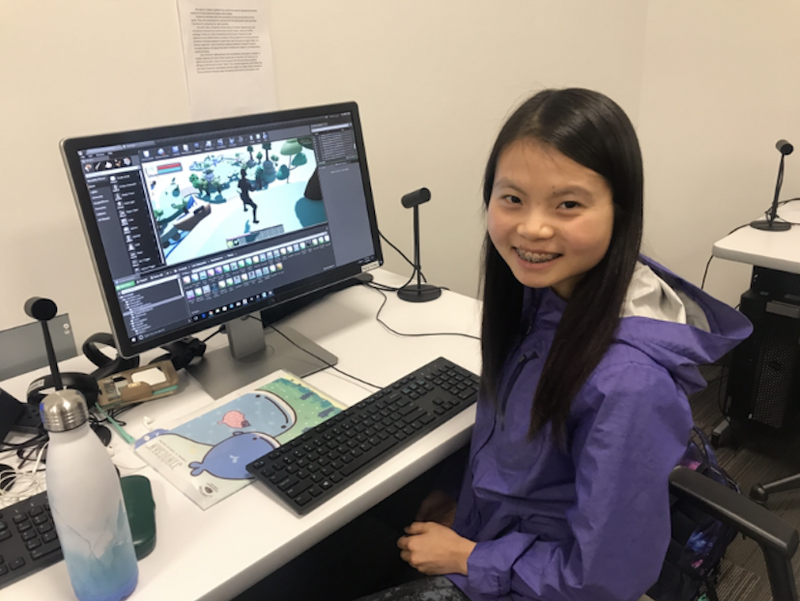 Team leader Grace Ling ’19 (Computer Engineering) is coming in hot with her virtual reality project “Cell-fie”. Grace’s fun and educational game is in full swing, featuring epic battles, quests, chasing enemies, and so much more! The game starts with a tutorial, featuring a series of quests that teaches users basic game mechanics — such as attacking enemies, healing and collecting items, and moving from place to place. The tutorial also teaches users the different parts of an organelle, and names of a variety of cells. Each organelle has its own little world, with trees, healing grounds, and even vacuoles that look like water and have jellyfish inside them. 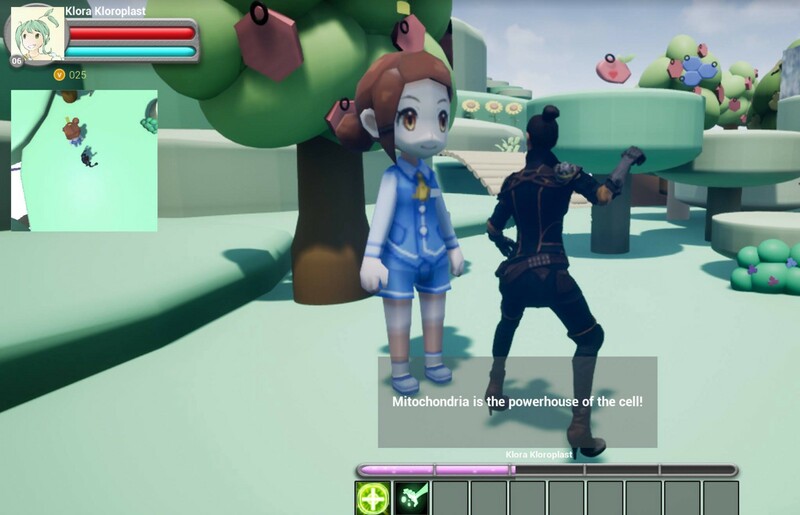 As users go through the game and battle enemies, they can pick up items and add them to their inventory. The game’s currency is ATP (adenosine triphosphate), which is a complex organic chemical that participates in many processes. When users collect ATP, they can “spend” it at the shop that Grace built into the game, where they can buy spells and healing powers to advance their progress. Grace finds the process of developing the experience “super relaxing and fun to build.” Everything she has built and coded so far is completely original. She hasn’t followed a strict plan, yet, she finds this to be the best method for her; it has allowed her to be more creative in the making of the project. 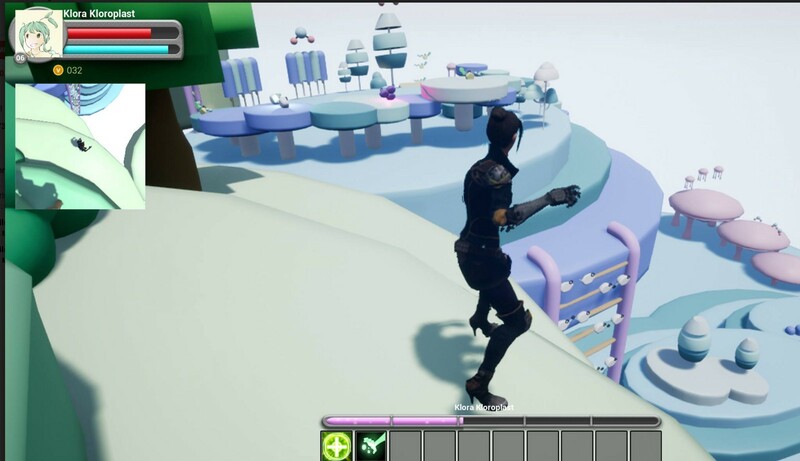 The process has been going incredibly well, and Grace hopes to expand the game and eventually implement a full, interactive quest system, with different environments for different organelles. We cannot wait to see what else Team Cell-fie has to offer! The Imaginarium at Santa Clara University serves as an on-campus space for students, staff, and faculty to experiment with virtual and augmented reality.